Wear this contrast crochet lace dress as casual or dressy as you like. 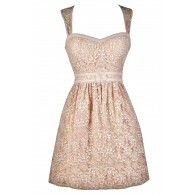 The Flower Chain Crochet Lace Dress is fully lined below the bust, but is semi-sheer at the neckline. 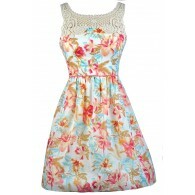 It is made of a lovely ivory floral crochet lace at the top. The attached skirt is made of a comfy cotton blend fabric in a contrasting color. This pretty dress looks nice paired with pumps or wedges. Another option is to wear it casually with flat sandals and an oversized bag. This is a cute dress to pack on vacation because you can wear it casually during the day and then dress it up at night for dinner. Details: Fully lined below bust. 60% cotton, 40% polyester. Lining: 100% polyester. Contrast: 100% polyester. Hand wash cold water separately. Color will bleed. No bleach. Hang to dry. Small measurements: Length from top of shoulder to hemline: 34". Bust: 33". 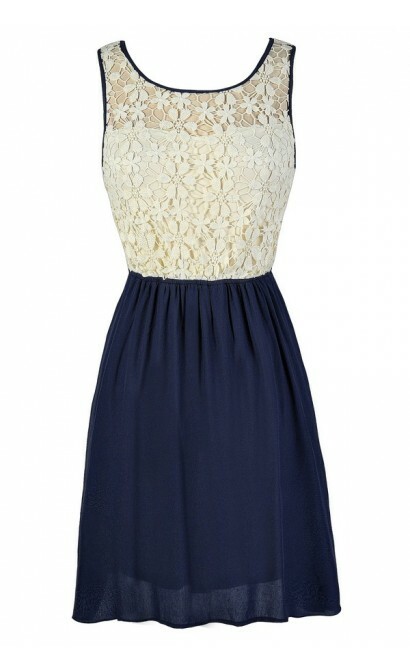 You have added Flower Chain Crochet Lace Dress in Navy into Wishlist. 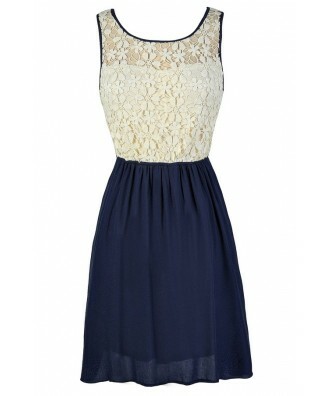 You have added Flower Chain Crochet Lace Dress in Navy for Stock Notification. 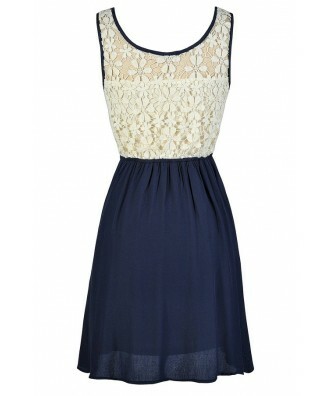 You have set Flower Chain Crochet Lace Dress in Navy as a loved product. 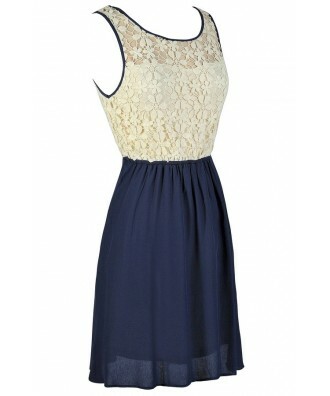 You have removed Flower Chain Crochet Lace Dress in Navy as a loved product.